MOSCOW, August 31. /TASS/. The United States did not agree with the Kremlin its decision to declassify the transcript of a private conversation between the former Russian and US presidents Boris Yeltsin and Bill Clinton in which the current Russian leader Vladimir Putin was mentioned, Russian presidential spokesman Dmitry Peskov said. “They did not coordinate it or hold any consultations,” he said. Peskov recalled that there were certain procedures of declassifying transcripts of discussions and telephone conversations. “These are not always liable to declassifying. As a rule documents concerning current politicians are not declassified. That’s international practice,” Peskov said. 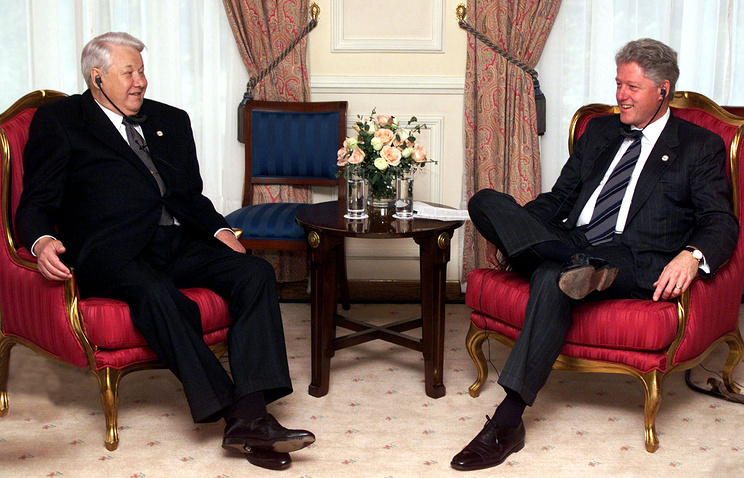 Earlier the William J. Clinton Presidential Library published a transcript of a telephone conversation Clinton and Yeltsin held in September 1999. Russia’s first president mentioned the reasons why he had selected Putin as his successor. As follows from the transcript, the conversation with Clinton took place nearly one month after Yeltsin in a televised address to the people on August 9 mentioned Putin as his successor. In the telephone conversation Yeltsin promised that Clinton and Putin would be able to meet soon and told the then US president whom he saw as a likely Russian presidential successor. Hey Buddy!, I found this information for you: "Kremlin says US bypassed Russia when declassifying Yeltsin-Clinton dialogue". Here is the website link: https://russophile.org/kremlin-says-us-bypassed-russia-when-declassifying-yeltsin-clinton-dialogue/. Thank you.